River Lots 23 and 24 are rare examples of a surviving form of land sub-division that were characteristic of a number of missionary settlements. The River Lot system pre-dates the sale of Rupert’s Land to the Dominion of Canada and the adoption of the standard rectangular township plan of Alberta. River Lot 23 was originally used as the site of the Hudson’s Bay outpost in St. Albert from 1866-1875, while River Lot 24 is unique for its continued occupation by subequent generations of the same Métis Family that settled in St. Albert after the mission was created by Father Lacombe. 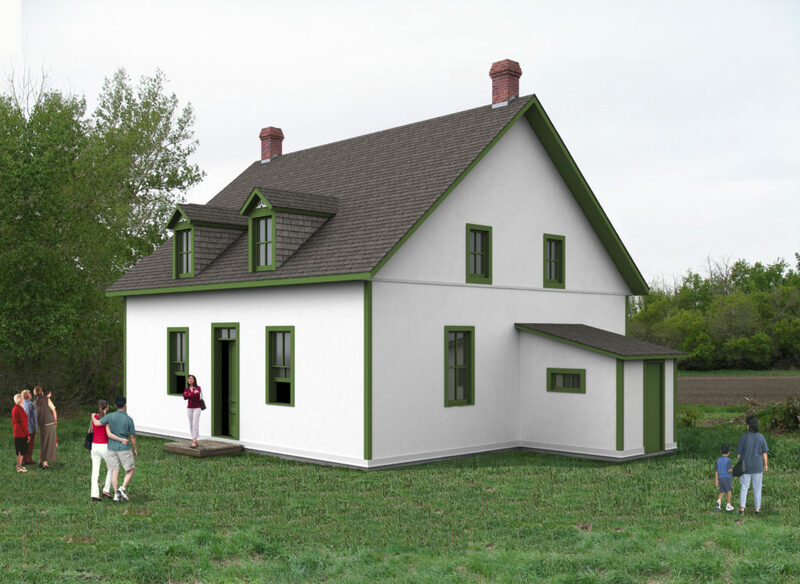 The Heritage Sites Functional Plan calls for River Lot 23 & 24 to tell the story of the French-Canadian and Métis settlements in St. Albert with some of the oldest surviving historic houses and agricultural buildings, including La Maison Chevingy (circa 1890), Brousseau Granary (circa 1900), Cunningham House (circa 1910) and Hogan House (circa 1900). View a map from the Heritage Sites Functional Plan that details the plans for River Lots 23 & 24. To learn more about the Heritage Sites Functional Plan, please contact us at office@artsandheritage.ca or 780-459-1194. The Chevigny brothers and their families came to St. Albert in 1880 from Quebec and were part of an influx of Francophones who settled in the area. The two-story log house was built in the late 1880’s making it one of the oldest remaining settlers’ structures in the province. 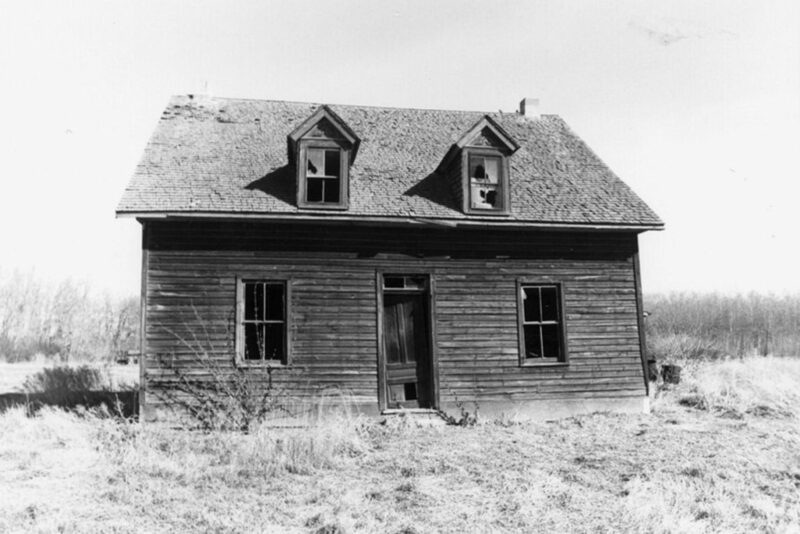 The family lived in the house until the early 1960’s when the house was converted into a barn. The family sold their farmland in 2007 and the building was relocated to River Lot 24 in 2008. The Friends of la Maison Chevigny was formed in 2009 and the committee is raising funds towards the restoration of the Chevigny House. Arts and Heritage has continued its efforts to stabilize and protect la Maison Chevigny. These steps included the removal of the horizontal exterior siding to expose the exterior vertical siding, cleaning the interior and a heat treatment to sterilize the structure and to eradicate histoplasmosis and hanta virus pathogens. The next steps for la Maison Chevigny include replacing the logs and repairs to the roof. 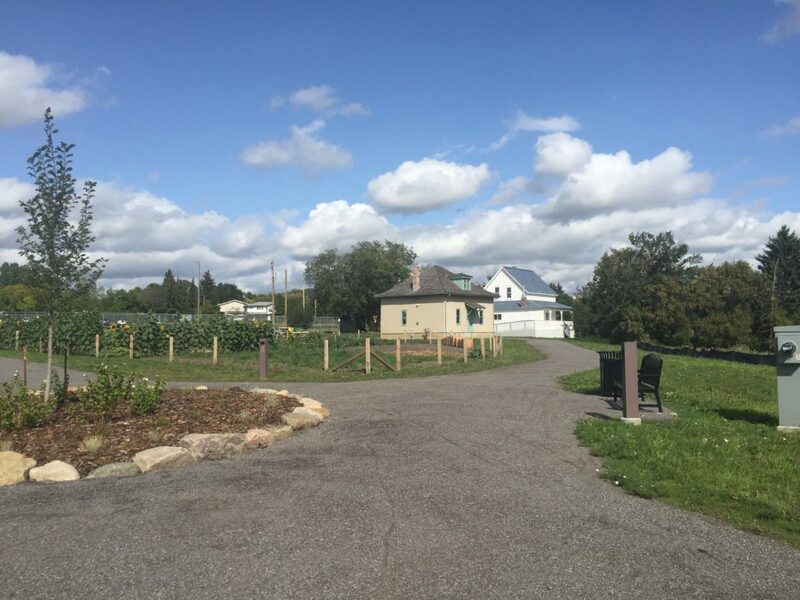 Building conservation projects, undertaken by the Arts and Heritage Foundation and the City of St. Albert at all of the heritage sites, follow the Federal Standards and Guidelines for the Conservation of Historic Places in Canada. We begin each project with the development of a knowledge base from which to prepare a conservation program to ensure the best restoration plan for each structure. Conservation activities at the Hogan/Belcourt House began in 2010 with the assessment of the structure and the development of a statement of significance to outline the features of the structure that are important and must be kept in the restoration process. Read about the restoration on our blog.